This was before the internet, comic book shops and even trade paperback collections. 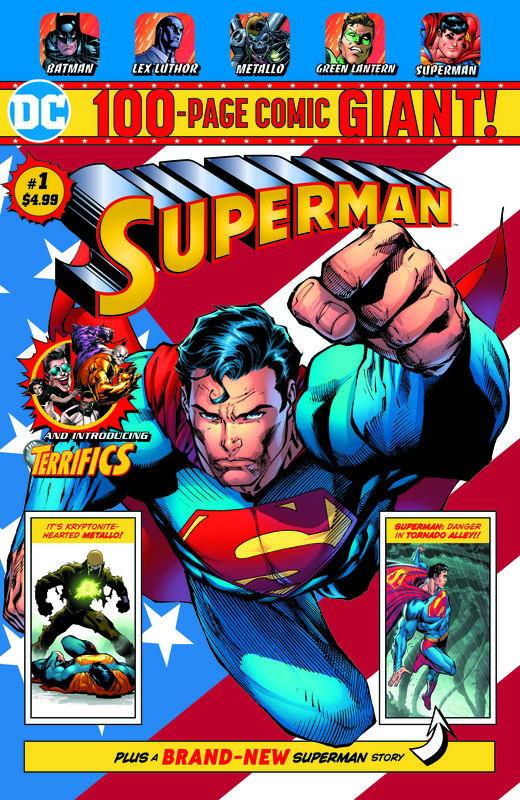 I’ve written before about my love for the 100-Page Super-Spectaculars. They introduced me to Golden Age treasures, for which I will be forever grateful. 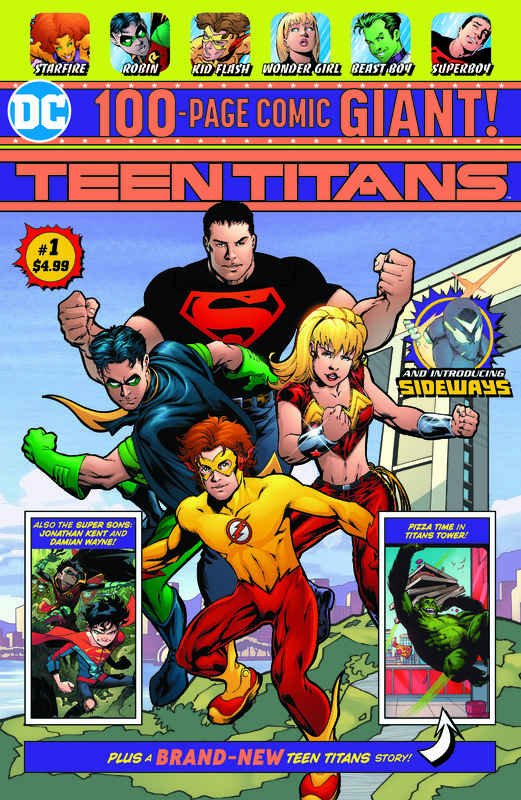 The first issues of “Superman Giant,” “Batman Giant,” “Justice League of America Giant” and “Teen Titans Giant” will be in stores around the country by July 1st and will feature original work by some of DC’s top creators, including Tom King, Brian Michael Bendis and Jimmy Palmiotti. 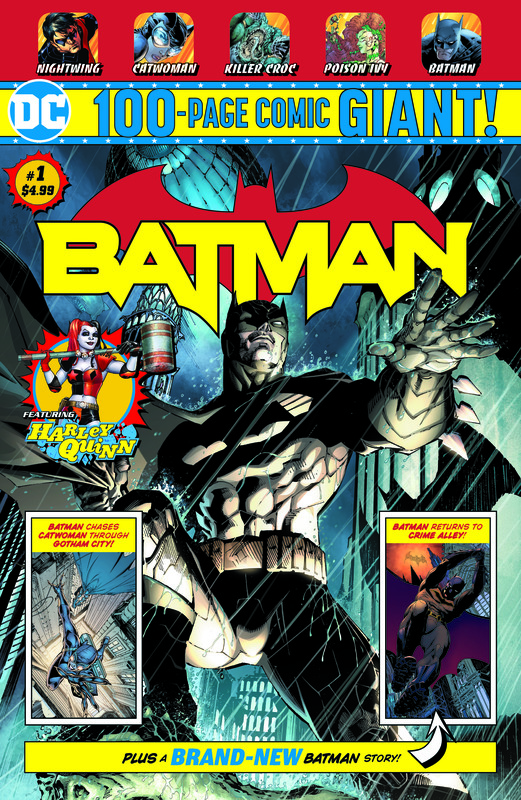 The reprints will be culled from the last 20 years or so of stories – too much from the New 52 era for my liking – but DC is sticking with modern stories because the whole point of this is to entice new and casual fans. Future issues of these monthly titles will arrive the first and third weeks of the month. The price? $4.99 a pop. Considering the average title costs $3.99 for a mere 20 pages of forgettable story and art, this is an insane bargain. Of course, there was blowback on social media because everything gets blowback on social media. Walmart shouldn’t be getting exclusive material. I’m just guessing here, but this was probably the only way Walmart would agree to carry comic books in its stores. 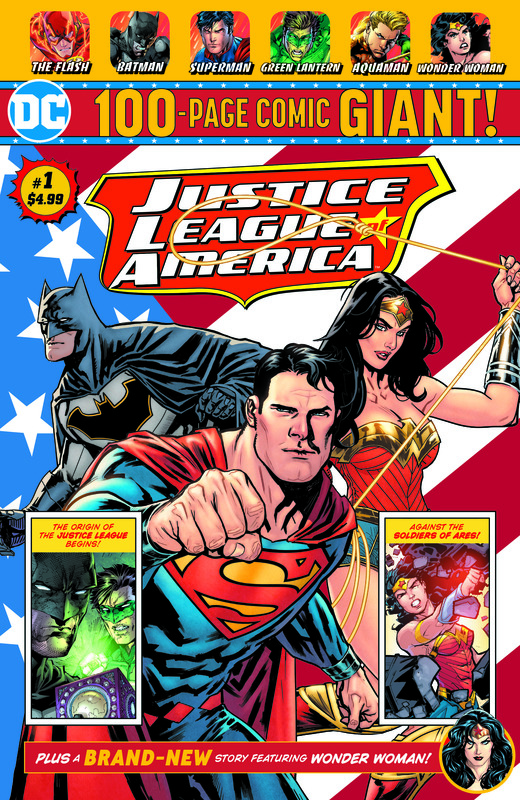 Walmart wanted something all its own, and in return will devote considerable, dedicated shelf space in its stores to promote this partnership with DC Comics. DC Comics is hurting comic book shops. It’s not. Ever hear the expression “A rising tide lifts all boats”? There are approximately 2,300 comic book shops in the United States, according to Diamond Comics. There are over 4,000 Walmart stores in the United States, and many in areas where there are no comic book shops – maybe even no other shops, period. Walmart and DC will be reaching new and casual readers, many of whom probably have never seen comic books on a rack anywhere before. That will only spur interest in the characters and encourage new readers to search for the comic book shop near them. The more places that sell comic books will only help the industry. This partnership will help grow the next generation of readers. And I might be buying a few copies. You know, for the nieces and nephews. I’m interested but I refuse to shop at Walmart. I’d be interested if they put out an issue of The Flash. Always my favorite. Hey, Brian, if this is successful, I wouldn’t be surprised to find it expanded – and for the Flash to be on the top of the list. The current run of the Flash is one of DC’s best titles right now.